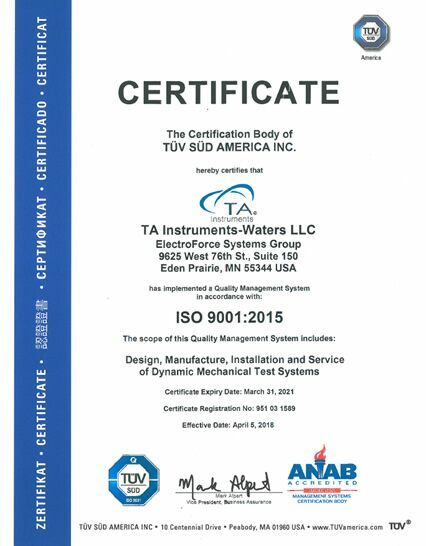 TA Instruments is ISO 9001 certified. Carrying this certification since 1992, TA Instruments is the first and longest-lived thermal analysis and rheology supplier to attain this status. TA Instruments ElectroForce is ISO 9001 certified. We have carried this certification since 2003. TA Instruments ElectroForce is ISO 17025 certified. We have carried this certification since 2016.